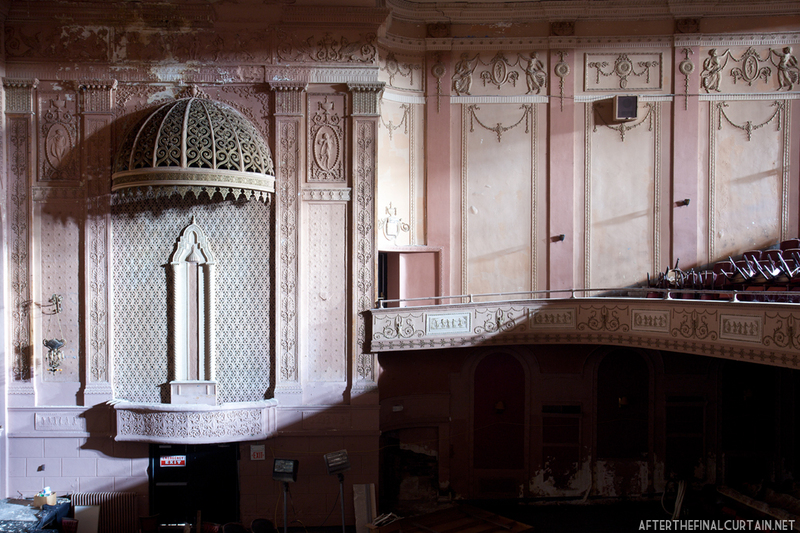 The Madison Theatre opened on October 16, 1920 in Peoria, Illinois. It was built by architect Frederic J. Klein (known for Rockford, Illinois’ Coronado Theatre) for the Robinson Amusement Company. 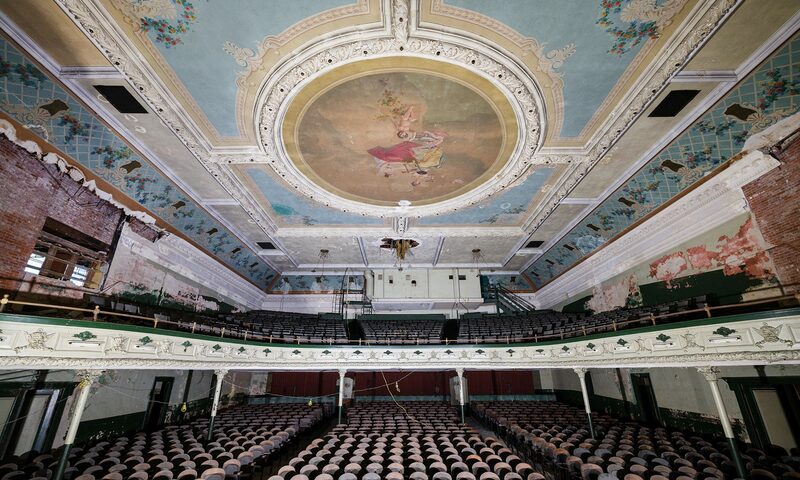 The 1,739 seat theater was originally designed in the Adamesque style and was remodeled in 1936 in the simpler art deco style to ease the maintenance of the building. 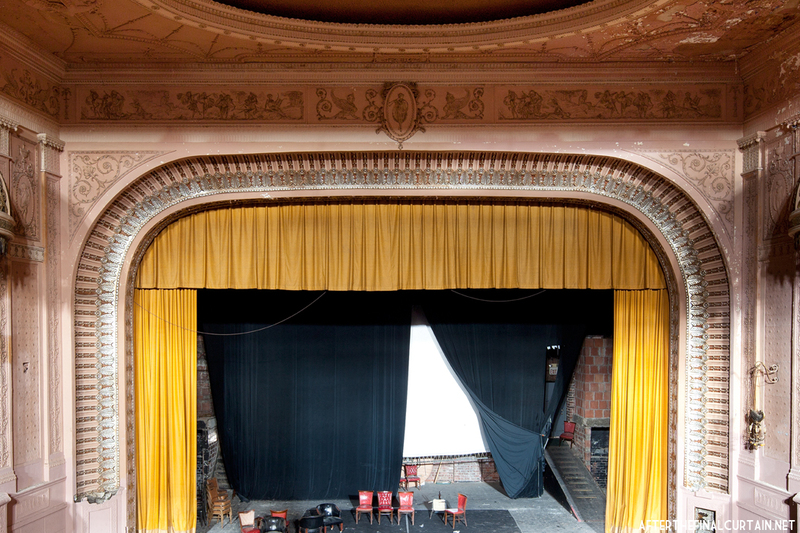 The Proscenium arch is surrounded by beaded plaster molding and a motif of acanthus leaves. At the center is the figure of a girl that is repeated throughout the plaster-work of the theater. 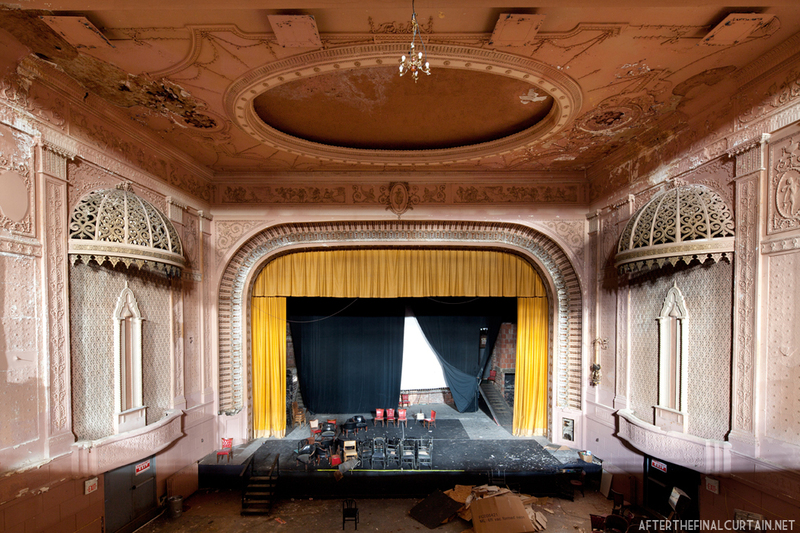 The Madison opened as a vaudeville and silent film theater. It was converted to show motion pictures or “talkies” in the late 1920s. The owner Dee Robinson hosted annual Christmas shows where children could attend for free. This practice continued into the 1950s, years after Robinson passed away. In 1980 the theater was added to the National Register of Historic Places. The Madison was renovated again in the 1980s. The original entrance and part of the lobby were demolished and turned into a bar. The theater became a concert venue in the mid 1990s, with many popular bands playing there, including B.B. King, Ray Charles, Creed, REO Speedwagon, Fiona Apple, the Smashing Pumpkins, the Insane Clown Posse, and Slayer. In 2003 the Madison was closed by the city due to fire code violations. J.D. Comfort, one of the owners of the building, is quoted as saying that the building should be torn down, and that its served its purpose. He estimates that it would cost $18 million to restore the building. The Madison remains closed today. View of the lobby from the mezzanine. The dome in the auditorium consists of concentric circles. The outermost circle in the dome has 21 different sculpted plaques. Another view from the side of the balcony. 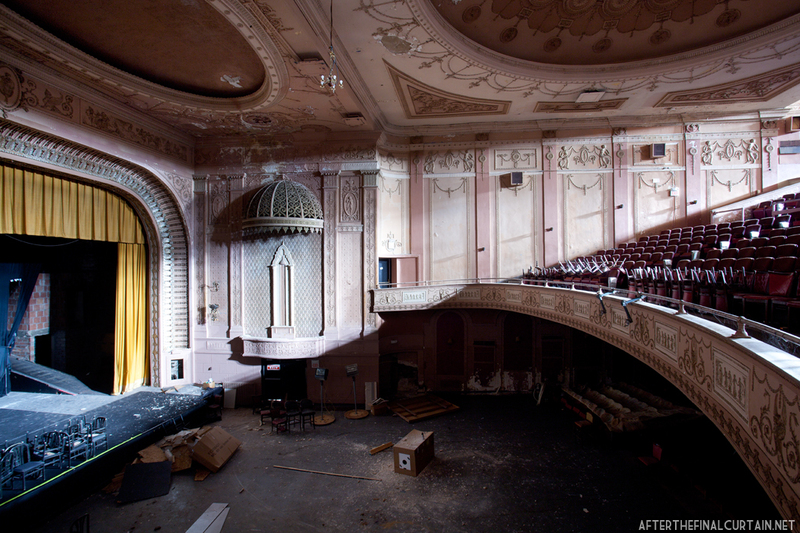 CategoriesAbandoned, Abandoned Theater, Architecture, Theaters Tags61602, abandoned theater, abandoned theaters, architecture, Madison Theatre, Peoria Illinois, photography, Will it play in Peoria? 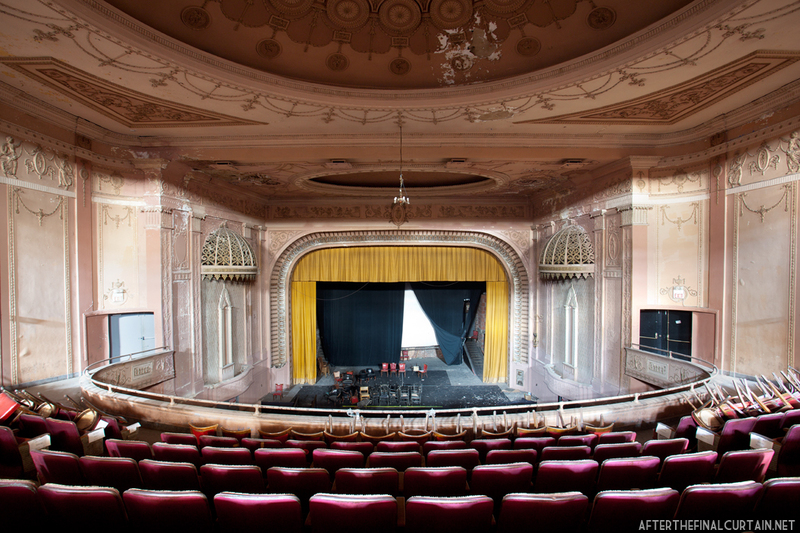 Do you know who owns the Madison Theater at the moment? Thanks! ISNT THERE A MAJESTIC THEATER IN ROCKFORD? ITS WHERE MY MOTHERS HIGH SCHOOL GRADUATION WAS HELD. I really enjoyed this article. I enjoyed many shows at the Madison Theater between 1996 and 2003. As a bartender and personality in the community I had many opportunities to meet bands and enjoy behind the scenes entertainment that wasn’t always available to the general public. There was a recent movement to raise the funds to remodel the Madison Theater but the ownership has plans for a restaurant or some other type of venue. It really is sad as the City of Peoria continues to struggle with the development of a vibrant downtown that this location is likely to be one more thing the citizens wish would have been done differently. I look forward to reading more about other theaters you have covered. As a young child from a small town visiting my aunt for the first time in Peoria, I was awed by the size of the town. One day, my aunt took me to the Madison to see a movie. She let me out at the front door telling me she would be back top ick me up after the movie ended. when the movie ended, I left the theater and stood on the sidewalk waiting for my aunt. As time passed and I was standing there in this huge town, I was very frightened. After about an hour, my aunt finally appeared. I had just gone out the wrong door .Gosh, what a town! Not only a beautiful theater but one with TWO DOORS! I worked at the “Madison Avenue Comedy Club” from 1987 to 1988, which existed in the renovated lobby area of the old theater. 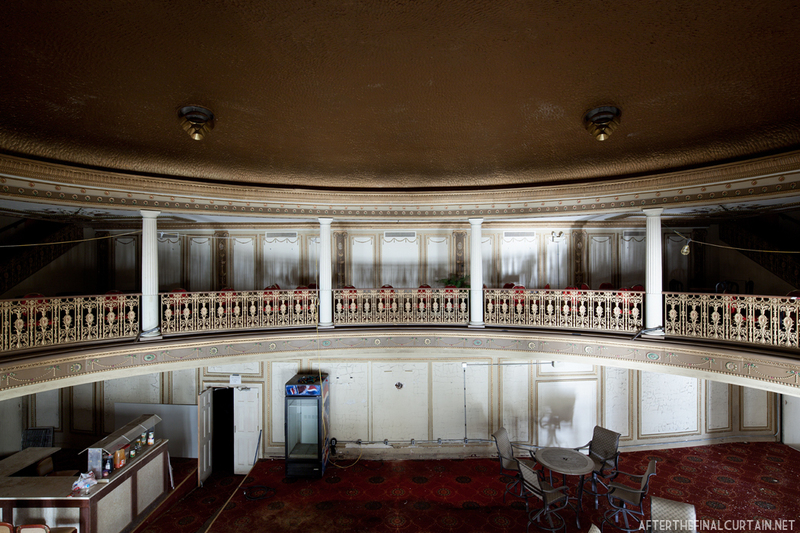 The leasee, at the time, wanted to make money from the comedy club, refurbish the rotunda/concession area into a restaurant, and then take profits from both ventures and renovate the theater area into a dinner theater. The club, in its abbreviated life, featured Heywood Banks, Jerry Seinfeld, and a guest appearance from Sam Kinison. 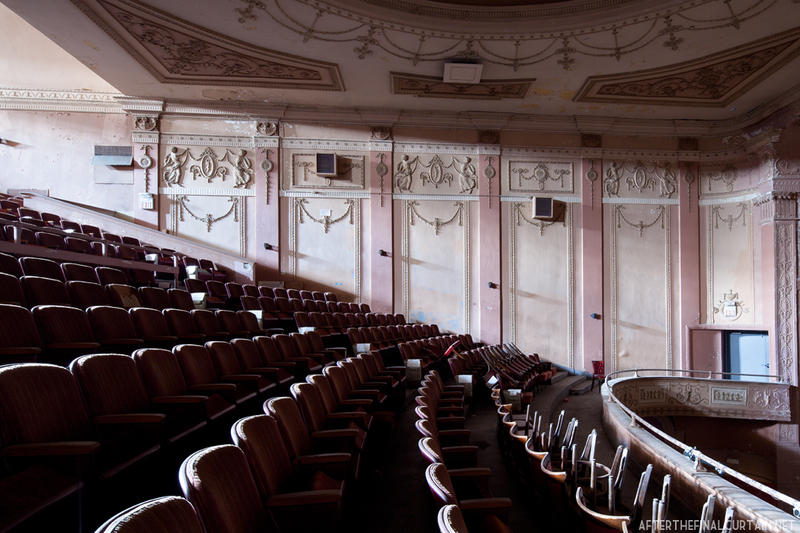 When working there, we would often venture into the theater area, sad at the state of disrepair/lack of maintenance. This gem needs to be rescued. It’s history CAN’T be buried under rubble left by bulldozers, neglect, and GREED. I went here on my first date with my wife back when we both students at Bradley University. Thanks for the memories.